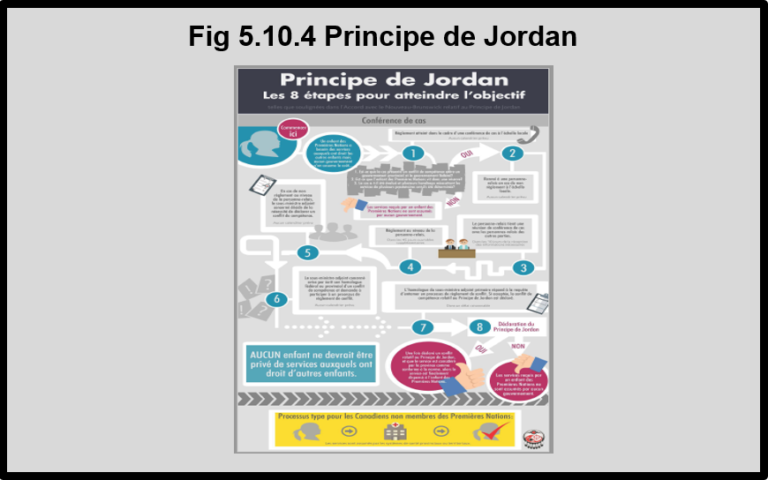 The infographic shown on this page, Jordan’s Principle: 8 Steps to Get There (as outlined in the New Brunswick Jordan’s Principle agreement) is a helpful tool to better understand and implement Jordan’s Principle. https://fncaringsociety.com/sites/default/files/JP%20Final%20with%20logo_AFN%20Graphic.pdf-accessed August 17, 2017. 1The Jordan’s Principle Working Group (2015) Without denial, delay, or disruption: Ensuring First Nations children’s access to equitable services through Jordan’s Principle. Ottawa, ON: Assembly of First Nations. http://health.afn.ca/uploads/files/jordans_principle_english.pdf-accessed August 17, 2017. 2First Nations Child and Family Caring Society of Canada website. https://fncaringsociety.com/jordans-principle-accessed August 17, 2017. 3Assembly of First Nations. Press release. Without denial, delay or disruption: Ensuring First Nations children’s access to equitable services through Jordan’s Principle. http://www.afn.ca/en/jordans-principle-feb10-accessed August 17, 2017.